Whenever anyone asks me what my ideal job would be, the easy answer is to always say any kind of speculative analyst or "expert". My reasoning is pretty simple: no where else could I be so wrong so publicly, but still get paid for it. Well, at least Wyatt and Jon don't pay me to write. Though, occasionally I get one right, what with the new Zelda game being pushed back again. I said just last month that Nintendo wouldn't jump into the smartphone market of games. Now, I'm eating my own words, and wondering what exactly we're going to be in for. Like many of you, I woke up on the morning of March 17th to some surprising news regarding Nintendo (I initially thought I was still recovering from Wyatt's bachelor party and thus hallucinating). First, the quick hits: yes, Nintendo is developing a new console, though the "NX" concept wasn't specified as a home or portable system. Nintendo has announced that they have a core concept and some other planning phases set, with the plan to talk more about the system in 2016. They also explained that this is not their health platform, which I still expect we'll hear about at E3 or sometime thereafter. 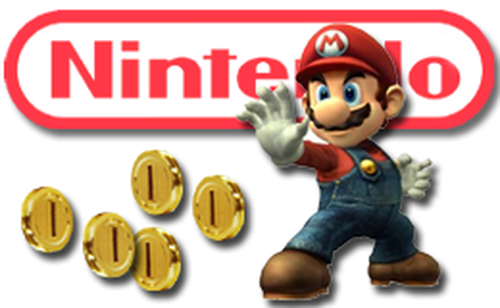 There was also talk of a unified service, possibly a piece of the puzzle for 'what will replace Club Nintendo? ', that may or may not be better compared to Playstation Plus. "The alliance is intended to complement Nintendo's dedicated video game systems business and extend Nintendo's reach into the vast market of smart device users worldwide. Under the alliance, DeNA will also be able to strengthen its gaming business at a global scale by leveraging Nintendo's IP. To ensure the quality of game experience that consumers expect from this alliance of Nintendo and DeNA, only new original games optimized for smart device functionality will be created, rather than porting games created specifically for the Wii U home console or the Nintendo 3DS portable system." To me, this is what makes the most sense. Having played games on touch screens that were not originally build for them, the experience is usually pretty poor. On the other hand, DeNA has made a ton of mobile optimized games, like Godus and several licensed titles based on Transformers and Star Wars, among others. The downside to these games? They are full mobile titles through and through. Which means free to download, and lots of in-app purchases. Anyone else not looking forward to buying the whole game piecemeal? In all seriousness, Nintendo will always have a strong influence on any titles that bear their name. Much like Disney, you can be certain that top people at Nintendo will be keeping a close watch on the game-play, art style, and use of their characters. Plus, considering what a momentous shift this has been in Nintendo's mobile strategy, coupled with the company's general operating method of being slow to change, I wouldn't think they would have picked a developer without strongly considering all possible options. So, how does this new move into mobile make me feel? Well, I'd say there's some cautious optimism. I think generally we as humans are just wired to think "change is awful", but this could lead to some positive returns. I'm pretty sure Nintendo will do a lot to try and keep their name associated with quality (not that they haven't occasionally released some bad games), but with so many people watching I would think they keep a very close eye on DeNA, especially for the first few titles. And if nothing else, if this new strategy lets Nintendo keep being, well, Nintendo, then I'm all for it.